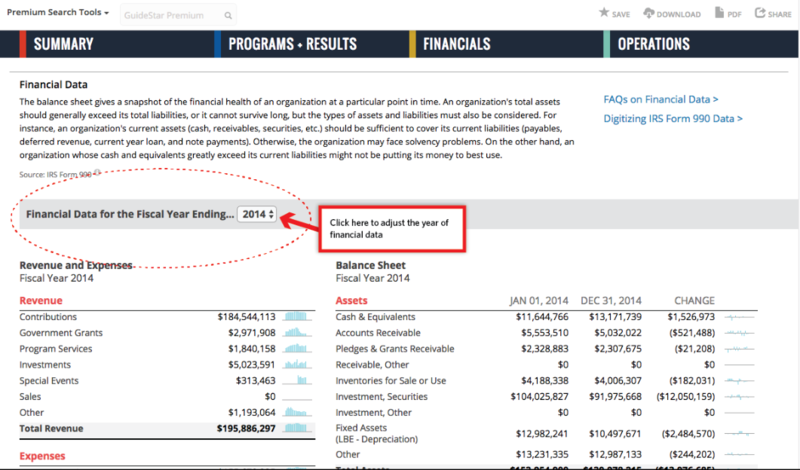 Scroll down to the Financials section and click Download Audited Financials. There are two ways to access this infromation. Adjust the year of the financial data by clicking the drop-down menu displaying a year located above the Revenue and Expenses section. 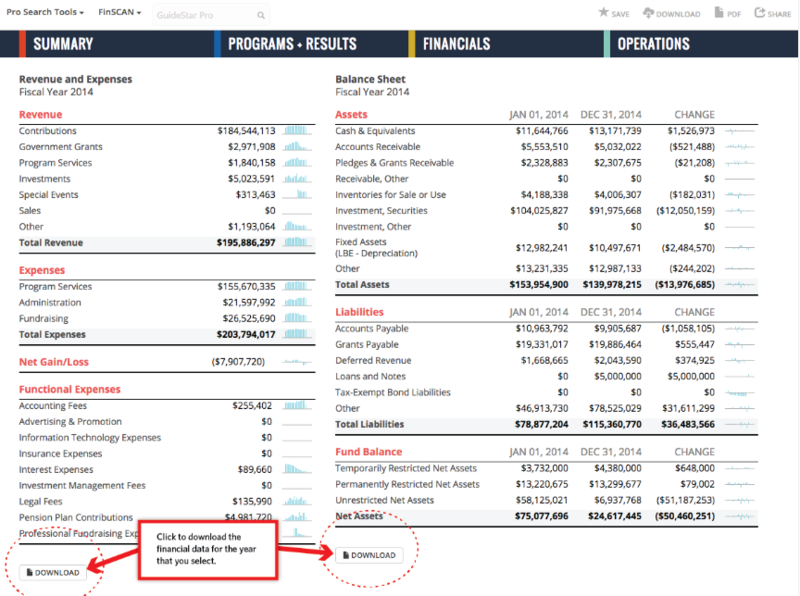 beneath the Revenue and Expenses Balance Sheet and sections.